Real Deal Retirement » Blog Archive » How Do You Invest For Retirement If Stocks Seem Too Risky and Bonds Pay Too Little? I’m 64 and would like to retire. Problem is, if I invest in stocks I risk losing money to a huge correction, and if I invest in safe fixed-income investments I earn only 1% to 2%. Either way, retirement seems elusive, if not impossible. What’s someone in my situation to do? I hear you. Even though stock prices have been hitting record highs of late, there’s still that entirely legitimate concern that stock prices could suddenly crater as they have many times in the past (and no doubt will at some point in the future). As for bonds and CDs, market watchers have been saying for upwards of seven years now that yields are going to rise substantially. But while interest rates have bounced up and down the past couple of years, they still remain quite low by historical standards. So I can see why you feel you’re between the proverbial rock and a hard place. But if you step back and assess your situation, I think you’ll find you have more options—and more wiggle room—than you seem to believe. Can You Pass The Retirement Quiz Most Seniors Flunked? The first thing you want to do is arrive at an appropriate mix of stocks and bonds for your retirement portfolio. That means investing enough of your savings in stocks to allow you to harness equities’ superior potential for long-term gains (even if those gains may not be as strong as in previous years), while at the same time keeping enough in bonds so your retirement portfolio won’t suffer a total rout when the stock market takes one of its inevitable periodic dives. It would be nice if I could tell you exactly how to divide your money between stocks and bonds. But I can’t. The blend that’s right for you will depend on what size returns you want to shoot for and the risk you’re willing to take to get them. That said, many people entering retirement put anywhere from 40% to 60% of their savings in stocks and the rest in bonds (plus a cash reserve), although the percentage can fall above or below that range depending on one’s situation. 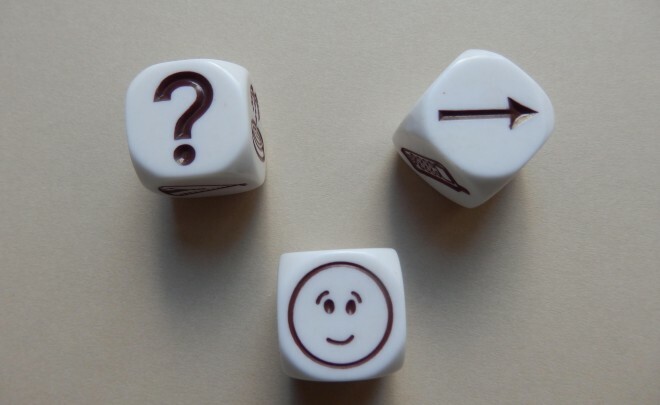 To get an idea of what blend of stocks and bonds might be right for you, you can go to this risk tolerance-asset allocation questionnaire, which will give you a suggested stocks-bonds mix based on factors such as how you would react to market downturns and when you plan to begin drawing money from your portfolio. This tool will also show you how various blends of stocks and bonds have performed on average and in good and bad markets in the past. Just to be clear: Going through this process and investing your savings in a suitable mix of stocks and bonds isn’t a magic bullet. It won’t boost bond yields. You have no control over the bond market. Besides, even if bond yields do rise, as they will eventually, you’ll still be relying mostly on the stocks in your portfolio for long-term growth. Nor will divvying up your savings between stocks and bonds immunize your portfolio from downturns in the stock market. But completely avoiding such setbacks isn’t your goal. If it were, you could simply stash your savings in CDs and money-market accounts. But that would mean having to accept even lower returns. Rather, your aim is to limit your downside enough so that you can ride out stock market downturns and participate in the eventual recovery. So the question becomes how much of a setback can you tolerate before you would panic and dump your stocks? The answer comes down to how much of your savings you invest in stocks. I can’t predict the magnitude of future market meltdowns. But you can get a reasonable idea of what kind of turmoil you might have to weather by looking at past downturns. During the financial crisis year of 2008, for instance, stocks lost 37% of their value while bonds gained about 5%. So if you had a mix of 60% stocks and 40% bonds, you would have seen the value of your portfolio drop about 20%. If that sort of decline would keep you up at night, you could always go to a more tame mix, say, 50% stock-50% bonds or 40% stocks-60% bonds, allocations that would have lost roughly 16% and 12% respectively in 2008. The more you dial back your stock exposure, however, the lower your long-term gains are likely to be. As you’re considering how different allocations of stocks and bonds might have performed in down markets in the past, keep in mind that just because your portfolio overall is down, say, 20% in a given year, doesn’t necessarily mean that 20% of your portfolio’s value has been wiped out for all time. Assuming you refrain from liquidating all your holdings and hang in for the rebound, you have a chance to regain lost ground. And in fact, after suffering a loss of 20% in 2008, a 60-40 portfolio that was rebalanced back to 60-40 at the end of each year would have gained almost 20% in 2009 and then almost 13% in 2010, bringing its value to nearly $108,000 by the end of 2010. Remember too that once you start tapping your portfolio for income in retirement, the size of your withdrawals will also help determine how far your portfolio’s value drops during market downturns, not to mention the extent to which it’s able to recover. What you want to avoid is a combination of market losses and withdrawals that put such a dent in your portfolio’s value that you run the risk of running through your savings prematurely. As I’ve explained before, however, as long as you hold your withdrawals to a reasonable level—say, an initial 3% to 4% subsequently adjusted for inflation—you should have a decent chance that your nest egg will support you for 30 or more years. You can get a sense of how long your savings might last at different stocks-bonds allocations and different withdrawal rates by going to this retirement income calculator. If you’re really anxious about whether your nest egg will be able to support you throughout a long retirement, you might also consider devoting a portion of your savings to an immediate annuity, an investment that turns a lump sum into guaranteed lifetime income. As this annuity payment calculator shows, a 65-year-old man who invests $100,000 in an immediate annuity today would receive about $545 a month for life, while a 65-year-old woman would get about $525 a month and a 65-year-old male-female couple would receive about $470. Knowing that you’ll be collecting that monthly income regardless of what’s going on in the market may provide some peace of mind that will allow you to feel more comfortable about owning stocks, and possibly make you less prone to get flustered and jettison them when the market goes haywire. 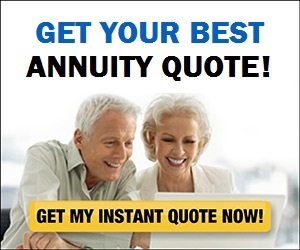 Still, annuities aren’t for everyone and buying one isn’t something you should do lightly. So before you even think about committing a portion of your savings to an annuity, I suggest you bone up on how they work and learn more about both their upsides and downsides. The simple truth is that you can’t eliminate risk entirely. Bonds and cash equivalents may protect you from market crashes, but their low returns may heighten the risk that you’ll run through your savings prematurely. Owning stocks gives you a shot at higher returns, but also subjects you to the vagaries of the stock market.